Can a $10,000 investment yield $1,000,000 in a year? In five years? If so, what is the risk involved? These are the kinds of questions to which this work is addressed. Such fantastic results are possible in the stock market. Individual issues fluctuate widely enough and often enough to permit this and more. Techniques are presented here that put an average yield on invested capital of 10% per month, well within the realm of possibility. Compounding profits at this rate, such a yield can return $1,000,000 on a $10,000 investment within 50 months. An actual trading experiment will be described using these principles which produced an 8.9% yield per transaction–every 9.7 days. Such a yield, if continued, compounds $10,000 to $1,000,000 in 15 months. If such results can be attained in the market — why isn’t everyone doing it? The answer is complex, but the elements are simple: effort, knowledge and psychological barriers. Any goal this worthwhile requires time and effort. 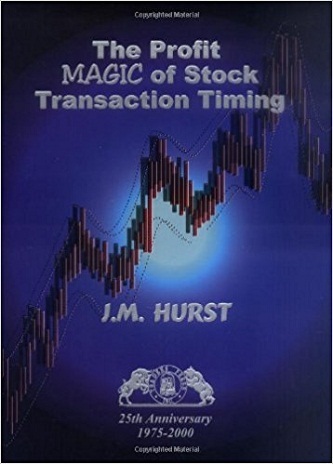 Most investors, amateur and professional do not have the kind of analytical background needed to shear through rumor, opinion, and adage to get at the basis of why stock prices change. And finally, even with knowledge in hand, many investors lack training in the emotion-logic balance required for success. Nevertheless, all of these obstacles can be overcome. It is the purpose of this book to provide you with the essentials. The results are yours if you care to apply yourself with sufficient intensity. Investment operations will be presented here in a deliberately unorthodox manner. We will turn our backs firmly on all cliches, adages, and market lore that will not withstand critical scrutiny. Where necessary, we will not hesitate to form new ones that do fit the facts. You will find here that the big money in investing stems from the principle of “profit compounding:—of short-term trades. It is further shown that this potential cannot be exploited in an optimum manner without a large improvement in transaction-timing capability that cannot be achieved using tradional investment methods. You will be exposed to: a concept of profit maximization; a model of stock price motion with prediction implications; an explanation of why chart patterns form—and how to use this knowledge to your profit; step-by-step methods for using the price-motion model to generate definite “wait,” “buy,” “hold,” “sell,” “sell short,” “cover short,” and “protect profit” signals; an explanation of why moving averages work and how to design your own for use in transaction timing; a complete trading method: how to select issues, how to analyze them for action signals, and how to improve your chances of turning and keeping a profit; the extent to which you should be concerned by chance factors, whether or not you should sell in case of war or financial crisis; the reasons why psychological considerations can affect your profits and what you can do about it; an introduction to numerical analysis and spectral analysis, upon which the results on the book are based. The problems of trading techniques and methods are dealt with directly. Enough methods and references are included to permit further research if desired.